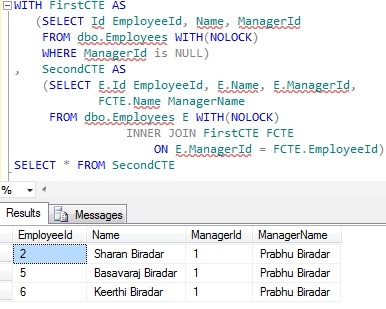 Nested CTEs is a scenario where one CTE references another CTE in it. 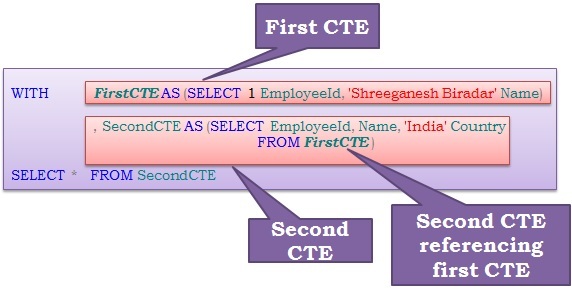 This example uses the Employees table created in the previous article Introduction to Common Table Expression (a.k.a CTE). You can visit the link to create the table, if you have not created it already. That’s not nested, just more CTEs that reference earlier CTEs. It isn’t possible to truly nest that like your example. That’s why the author is showing it written that way. it is possible.. I just ran across a view in my production postgres9.1 server that has a nested cte.. I went looking because this works.. and I thought you could not do this.